Kimi is a legend with a cult status following, that is true. And much like Morrison or Lennon did, he’s fast becoming hugely idolized. 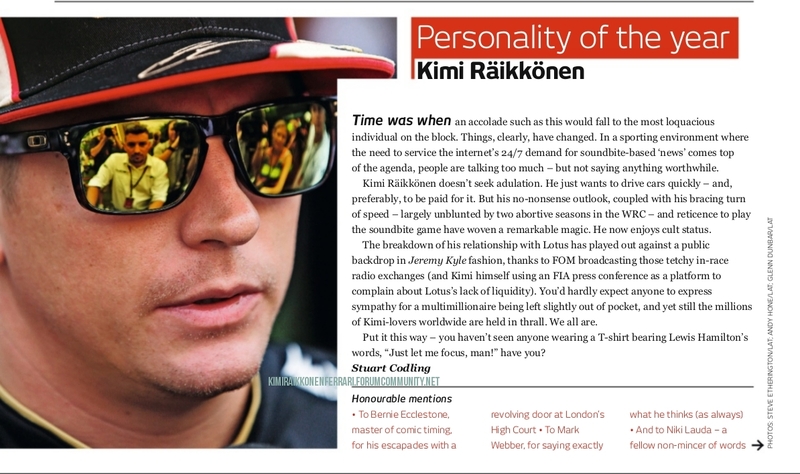 Perhaps fans connect with him on a personal level, whereas most other drivers do not – maybe with the exception of James Hunt (who of course just happens to be Kimi’s hero).